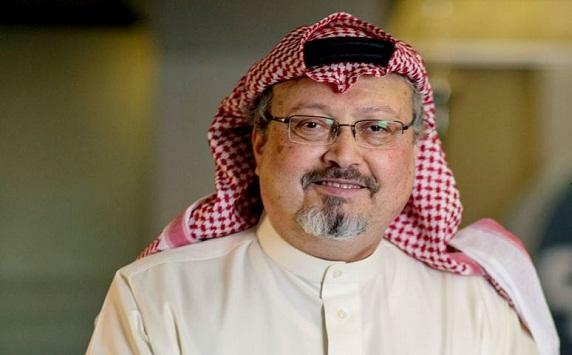 Turkish news website Haberturk has released the first quotes from alleged audio recordings of Jamal Khashoggi’s last moments before he was killed in the Saudi Consulate General in the city of Istanbul on 2 October. “Release my arm! What do you think you are doing?” Khashoggi reportedly said at the consulate’s visa department after one of the four men grabbed his arm. They then reportedly took the journalist to the consulate’s administrative unit, where three more people joined them. Haberturk reported that one of those three Saudis was Maher Abdulaziz Mutreb, the purported leader of the 15-member hit squad. “Traitor! You will be brought to account,” the voice, which sounds like Mutreb, is heard shouting, Haberturk said. The rest of the seven-minute audio reportedly included verbal clashes, fighting and torture. The media outlet further reported that 19 phone calls were made to Saudi Arabia from the ‘C unit’, where the consul’s office is located, with four of them between Mutreb and Saud al-Qahtani, a close adviser to Crown Prince Mohammed bin Salman. Neither Turkish, nor Saudi authorities have commented on the report yet. Earlier this month, Turkish President Recep Tayyip Erdogan said that Ankara had shared the recordings related to Khashoggi’s killing with the US, Canada, Saudi Arabia, France, and the UK.